If you want to launch your lawyer website quickly, there is no better place to start than with a responsive HTML template that was created with lawyer websites in mind. 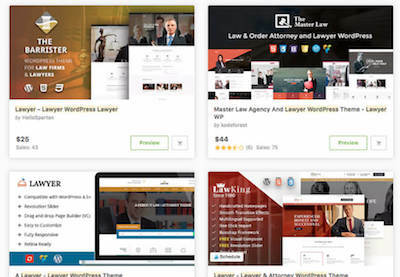 Unlike CMS themes, lawyer website templates are easy to upload onto the server since there is no special software to install. They’re also easy to edit in terms of content and style, which means you can get your law firm website up and running in a matter of hours and start building your online presence and booking more clients. In this post, we’ll demonstrate how to use an HTML template for your lawyer website design as well as share tips that’ll help you take your website to the next level. To get started, you’ll need to make sure you’ve got a hosting plan as well as a domain name, an HTML template of your choice, an FTP client, and the images and content that you want to use. Let’s explain the purpose of each of those more in depth below. A great place to start is to buy a domain name and a hosting plan that’ll provide you with server space where that domain name will point to and all the files for your site will live. This will make it possible for potential clients to find your website online. Usually you can purchase your domain name and hosting at the same time and from the same hosting company, which makes it easy to manage everything in one place. Some hosting providers will even provide you with a free domain with a yearly purchase of their hosting plan. Nowadays, you’ll find hosting plans that start as low as $5/month and offer unlimited bandwidth and disk space. The best way to find a reliable host is to check how long the hosting company has been in business, what their customers think about them, and initiate a chat with their support to see how responsive they are. Once you’ve got your domain and hosting company, it’s time to choose a responsive website template designed for law firm websites. This will ensure that all the pages a law firm or a lawyer might need to present their services are already premade so you won’t have to worry about tweaking a different type of page. For the purposes of this tutorial, I’ll be using the Trust template from Envato Elements, which offers several variations of the homepage as well as pages that allow you to showcase your practice areas, team members, and even sell legal document templates on your site. You’ll also want to use a code editor so you can make changes to your template’s files and edit the stylesheet. Programs like Textwrangler or Notepad++ are great choices for Mac and Windows computers, respectively. Another program you’ll need is an FTP program that’ll allow you to connect to the hosting server and upload all the template files at once. 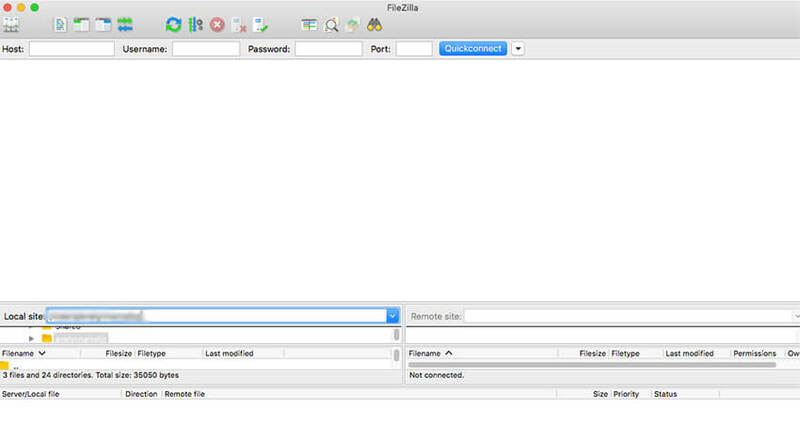 A popular FTP program that’s available on Windows, Mac, and Linux operating systems is FileZilla. Lastly, you’ll need content and images for your site. Preparing all the text and gathering all the images will help you save time as you tweak the template and make it easier to copy and paste your content into the template’s files. Once you’ve got all the items and programs mentioned above, we can start editing your lawyer website template to add your content. To start, download the zipped folder of your template and unzip it somewhere like your Desktop or Downloads folder where you can easily access it. HTML files. The HTML files represent pages of the template that you can use for your homepage, about, services, contact, and other pages on your site. The tag above represents a level two heading. If you open any of the HTML files in a code editor, you’ll notice that the entire HTML file is full of these tags and that your content has to be in between the opening and closing tag to show up on a web page. Double-click an HTML file or right-click it and select Open With Chrome/Firefox or whichever browser you’re using. Right click on a part of the template you wish to modify and choose Inspect. For example, I chose to inspect the section that reads Welcome to Trust. Once the Inspector shows up at the bottom of the screen, I can see that this text is wrapped in h2 tags. Go back to the template folder, select the same HTML file, right click on it, and select Open With Notepad++, TextWrangler, or your chosen code editor. Locate the corresponding tags in the HTML file, place your mouse cursor in between the tags, delete the dummy text, and replace it with your own. To edit the rest of the template and replace the dummy content with your own information throughout all the other files, all you’ve got to do is repeat this process until you’ve replaced all the dummy text with your own. If you want to add more information in the same section of any of your pages, all you’ve got to do is duplicate that section immediately below the original code and then replace the text with your own. As an example, I’ve duplicated the entire row in the Welcome section to have more space to feature important information about the law firm. When it comes to images, you’ll need to gather all the images you want to use and add them to the images folder within your template’s main folder. Then, you need to follow the same steps as above: right-click an image to inspect it, find that code in the code editor and edit the name of the image. Editing the contents of your HTML template will take up the majority of your time, but once it’s done, you can start changing the visual appearance. Start by going into the CSS folder and locating the main stylesheet. In most cases, it’ll be called main.css or styles.css or stylesheet.css. Right-click on the file and open it in your code editor. When the stylesheet loads, go back to your browser and inspect an element. This time, you’ll want to focus on the right-hand side of the Inspector panel as pictured in the screenshot below. To save time, you can search for the color code you see in the Inspector, hit CMD+F or CTRL+F in your code editor and replace it with the color code of your brand’s colors. Then, save the changes, refresh the HTML file in your browser, and you’ll see the changes applied. When you’re done replacing the contents and modifying the visual appearance of your template, it’s time to upload it to the server. Your hosting company has more than likely sent you a welcome email with all the information you need to manage your website. You’ll want to look for the FTP information which contains the FTP server name, username, and a password you’ll use to connect to the server using an FTP client. Once the connection has been established, look to the left side of FileZilla’s window and find the folder where you unzipped the template’s files. Click the folder, select all the files and folders within, move them over to the right side of the FileZilla’s screen and place them into the public_html folder. The upload process will then start and take a couple of minutes. When it’s finished, open your browser, enter your domain name, and you’ll be able to see your website live. Now that you’ve created and designed your law firm website, you need to promote it so that potential clients can easily find you as well as make sure that your site converts them into actual clients. 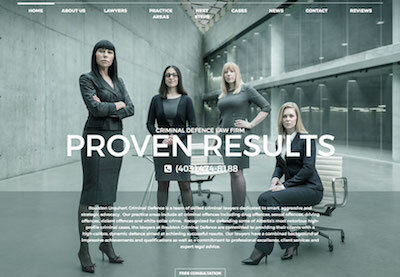 Here are a few resources that’ll help create a great lawyer website. 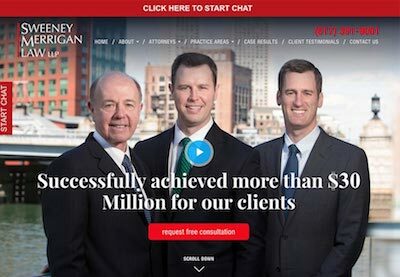 Lastly, if you need more inspiration or want to see what other lawyers, law firms, and attorneys are doing with their websites, you’ll find plenty of examples in this roundup. 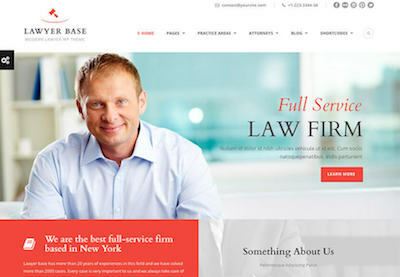 Creating a website for your law firm or legal practice is easy with the help of responsive law firm website templates. 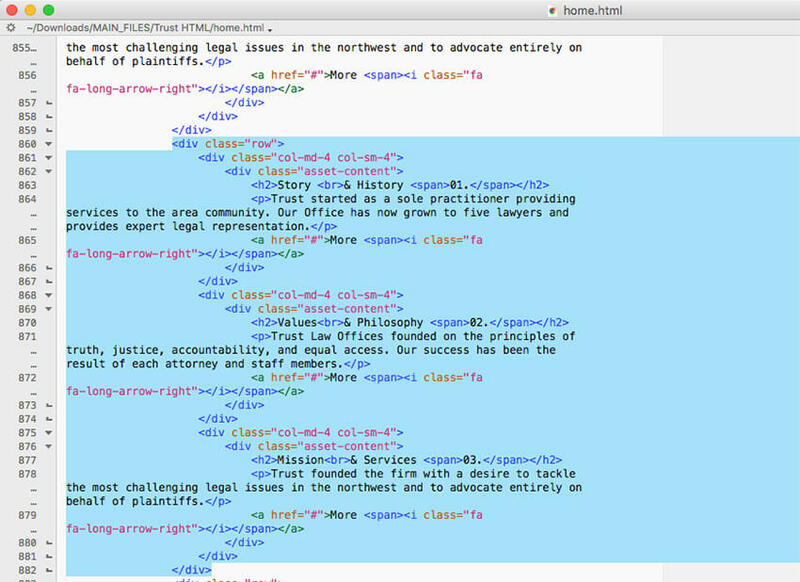 Use the steps above to help you set up your chosen legal HTML template and implement the best marketing and design tactics to make your website stand out from the crowd.